How a lapse in car insurance coverage could come back to haunt you. There are many good reasons why you need to cancel your auto insurance coverage. Whether you are moving away and need to sell your vehicle or you’re taking it off the road to restore the engine, you may consider canceling your policy. But before you do, there are some things you should know. If you are about to cancel your auto insurance policy but need coverage later on in the future, think twice before you contact your insurer. Insurers will look at a variety of factors when determining your auto insurance policy, including your claims history and previous coverage. This means that they will be able to see if you’ve had a lapse of coverage. In turn, you could be labeled a high-risk driver because you haven’t maintained consistent coverage. As a result, you could face higher premiums. One great way to avoid a sizeable gap in coverage is to maintain your policy. If you are only going to be without a car for a couple of months, call your insurer and let them know about the situation. 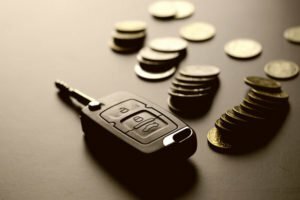 They will able to cut down coverage but continue your policy so that you get to lock in low rates for when you do have a vehicle again. You could also ask a friend or family member if you can be added to their policy as a named driver. This will show insurers that you maintain consistent coverage but you can enjoy lower premiums. The team at McCarty Insurance are industry experts who are here to help. We ensure that you are comfortable with your car insurance so that you can feel confident about your protection in Fresno, California.